Iran’s defense minister said on Wednesday the Islamic Republic had tested a new missile, but added the test did not breach Tehran’s nuclear accord with world powers or a U.N. Security Council resolution endorsing the pact. Iran has test-fired several ballistic missiles since the nuclear deal in 2015, but this is the first during President Donald Trump’s administration. Trump said in his election campaign that he would stop Iran’s missile program. “The recent test was in line with our plans and we will not allow foreigners to interfere in our defense affairs,” Defense Minister Hossein Dehghan said, according to Tasnim news agency. “The test did not violate the nuclear deal or the (U.N.) resolution 2231,” he said. A U.S. official said on Monday that Iran test-launched a medium-range ballistic missile on Sunday and it exploded after travelling 630 miles. Iran’s Foreign Minister Mohammad Javad Zarif neither confirmed nor denied the U.S. report, but said on Tuesday that Tehran would never use its ballistic missiles to attack another country. 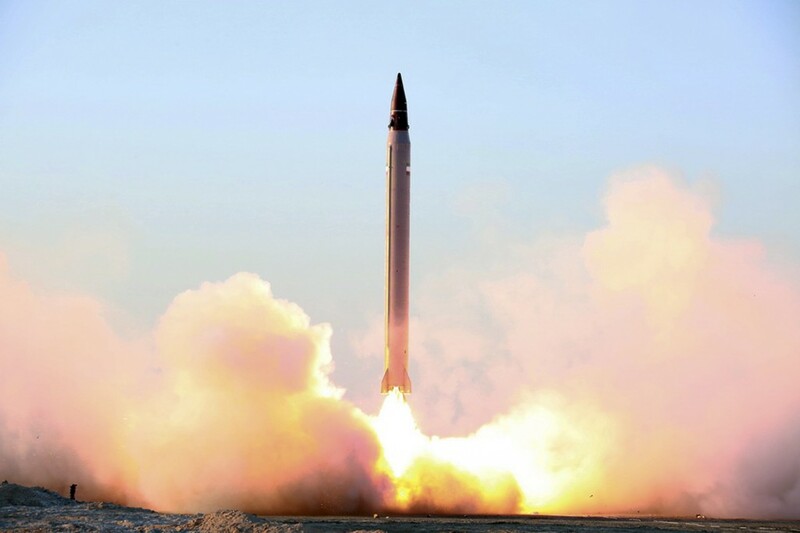 “The Islamic Republic of Iran is against weapons of mass destruction, so its missile capability is the only available deterrence against enemy hostility,” the parliamentarians said in a statement carried on state media on Wednesday. The U.N. Security Council resolution, adopted in a deal to curb Iran’s nuclear activities, called upon Iran to refrain from work on ballistic missiles designed to deliver nuclear weapons. Critics say the text does not make this obligatory. Tehran says it has not carried out any work on missiles specifically designed to carry such payloads. The test on Sunday, according to U.S. officials, was of a medium-range ballistic missile; a type that had been tested seven months ago. Iran has one of the largest missile programs in the Middle East, but its potential effectiveness has been limited by poor accuracy. However, Hossein Salami, deputy head of Iran’s powerful Revolutionary Guards (IRGC) said on Sunday, the day of the test, that Iran was now one of the few countries whose ballistic missiles were capable of hitting moving objects. Such capability would enable Iran to hit enemy ship, drone or incoming ballistic missile. Israeli Prime Minister Binyamin Netanyahu called on Monday Iran’s new missile test “flagrant violation” of the U.N. resolution. He said he would ask Trump in their meeting in February for the renewal of sanctions against Iran.